The Posting Journal is a part of a Jedox application that keeps track of data in the form of a double-entry bookkeeping system. The Posting Journal consists of a chronological series of records called journal entries. Each journal entry represents a financial transaction and is identified by an ordinal number. A journal entry consists of a header and multiple journal entry lines. Journal entries only take effect in an OLAP cube if they are posted. The posting journal is organized in ledgers where each journal entry belongs to one of the ledgers. Each ledger is bound to one or more slices of its corresponding OLAP cube. The binding between the fields of the posting journal and the slice in the OLAP cube is defined through the Posting Journal Configuration dimension. Any value in these slices must be managed exclusively through the posting journal. Parts outside these slices can be controlled by data import or manual input. The posting journal is encapsulated: It can be accessed only through dedicated web reports and defined procedures. It is not available to users for direct access. The posting journal is stored and hidden within the OLAP database. The posting journal and the posted values in the OLAP cubes will thus remain consistent when the database is backed up or restored. The journal entry header includes fields to identify the journal entry, information on status and validity, audit trail information. The ordinal number identifying the journal entry. The lowest valid value is 1. A short free text to identify the purpose of the journal entry. An optional long free text to explain the purpose of the journal entry. The currency of the journal entry which is either LC or a ISO 4217 code of valid source currency, see Setting Up the Available Source Currencies. Custom dimension(s) applicable to all journal entry lines. The actual dimensions as defined by the posting journal configuration for the specific ledger. Free text holding an ID or reference number to an external application. ID of another journal entry from which this journal entry has been created as a copy. If this journal entry has been created from scratch this field is 0. The total of all amounts of all journal entry lines for this journal entry. If the journal entry lines do not balance this is the total of all debt amounts of all journal entry lines for this journal entry. The difference between the total of all debit and the total of all credit amounts of all journal entry lines. If the journal entry balances this value is 0. Legal Entity This is the default option. The debit and credit amounts from all journal entry lines with the same Legal Entity (Entry Line) must balance. (Note that this implies that the total journal balances, too. Journal Entry The debit and credit amounts from all journal entry lines must balance. Please note that this may result in an unbalanced balance sheet on company level. Such journal entries should not be placed on adjustments or transitions of financial statements from subsidiaries. They may, however, be required during and after the consolidation of the group. This option must not be selected if Currency is set toLC unless all affected legal entities use the same local currency. None The debit and credit amounts from all journal entry lines do not need to balance. Such journal entries should not be placed on adjustments or transitions of financial statements from subsidiaries. They may however, be required during and after the consolidation of the group. This journal entry has never been validated. This journal entry has successfully passed the validation procedure. This journal entry failed the validation procedure. The reason for the failure is stored in the field Reason Invalid. The reason why the journal entry failed. This value is not valid. It may only occur for a very short time during the creation procedure and may be used for technical reasons to validate the creation process. The journal entry has been created and saved. The user may or may not have manual changes to the journal entry. The fields Created, Created By, Modified and Modified By contain audit trail information. The journal entry has been posted. The fields Posted and Posted By contain audit trail information. The journal entry has reversed after being posted. The fields Reversed and Reversed By contain audit trail information. The journal entry has been finally deleted. The fields Deleted and Deleted By contain audit trail information. Timestamp of journal entry creation encoded in the way Microsoft Excel or the Jedox Web spreadsheet (number of days since 1st January 1900) is stored. This field is programmatically filled and cannot be changed afterward. Jedox user account of the user who created the journal entry. This field is programmatically filled and cannot be changed afterward. Timestamp of journal entry creation encoded in the way Microsoft Excel or the Jedox Web spreadsheet (number of days since 1st January 1900) is stored. This field is programmatically filled. If the journal entry has been modified multiple times this field refers to the last modification. Any information on previous modifications is overridden. Modified By Jedox user account of the user who did the most recent modification of the journal entry. This field is programmatically filled. If the journal entry has been modified multiple times this field refers to the last modification. Any information on previous modification is overridden. Posted Timestamp of posting of journal entry encoded in the way Microsoft Excel or the Jedox Web spreadsheet (number of days since 1st January 1900) is stored. This field is programmatically filled on initial posting or on reposting. If the journal entry has never been posted the value is zero. If the journal entry has been reversed and reposted this field refers to the last posting. Any information on a previous posting is overridden. Posted By Jedox user account of the user who posted or reposted the journal entry. This field is programmatically filled. If the journal entry has never been posted the value is empty. If the journal entry has been reversed and reposted this field refers to the last posting. Any information on a previous posting is overridden. Reversed Timestamp of journal entry reversal encoded in the way Microsoft Excel or the Jedox Web spreadsheet (number of days since 1st January 1900) is stored. This field is programmatically filled. If the journal entry has never been reversed the value is zero. If the journal entry has been reversed, reposted and reversed again this field refers to the last reversal. Any information on a previous reversal is overridden. Reversed By Jedox user account of the user who reversed the journal entry. This field is programmatically filled. If the journal entry has never been reversed the value is empty. If the journal entry has been reversed, reposted and reversed again this field refers to the last reversal. Any information on a previous reversal is overridden. Deleted Timestamp of journal entry deletion encoded in the way Microsoft Excel or the Jedox Web spreadsheet (number of days since 1st January 1900) is stored. This field is programmatically filled and cannot be changed afterward. If the journal entry has not been deleted the value is zero. 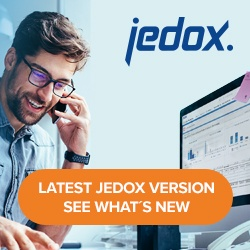 Deleted By Jedox user account of the user who deleted the journal entry. This field is programmatically filled and cannot be changed afterward. If the journal entry has not been deleted the value is empty. Status Changed Timestamp of the last status change action of journal entry encoded in the way Microsoft Excel or the Jedox Web spreadsheet (number of days since 1st January 1900) is stored. This field is programmatically filled on on any status change. Any information on a previous status change is overridden. Status Changed By Jedox user account of the user who did the last status change. This field is programmatically filled and cannot be changed afterward. Identifies the journal entry line within the journal. The lowest valid value is 1. Long free text to explain the purpose of the journal entry line. Defines the cube applicable to the journal entry line. Valid values are defined by the posting journal configuration for the specific ledger. Defines the legal entity applicable to the journal entry line. A base element of dimension Partner Entity specifying one of the coordinates in the corresponding OLAP cubes applicable to the journal entry line. Custom dimension(s) applicable to the journal entry line. The actual dimensions as defined by the posting journal configuration for the specific ledger. Debit amount in Currency. Must be 0 if Credit is unequal to 0. Debit amount in Currency. Must be 0 if Debit is unequal to 0.